There is a high probability these four teams below will make the Podium in Carrollton Saturday. Up top, Marist is a strong favorite as the #1 team All Classes. The lady War Eagles have been State champs for 10 straight seasons, and with their speed and depth from 1-7 are virtually unbeatable. St. Pius will look to have a strong day and play spoiler to the War Eagles. But, that will be a tall order, as head to head at Coach Wood, their team avg was a minute slower than Marist who always kills it State. Blessed Trinity and Oconee County round out the top four and appear to have separated themselves from the rest of the class. They went head to head at Berry with the Titans' having a faster team avg by :44. Look for them to push for 2nd. 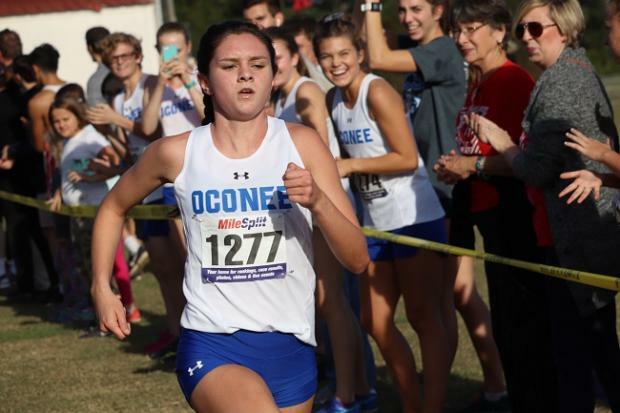 Oconee County, had a terrific 2nd place finish in 2017, and has improved throughout the season with yet another individual title contender in Caroline McArthur, and a solid top 5. North Oconee is pretty solid to finish 5th if they run like did their past 2 meets, but the Podium may be a stretch this season for the lady Titans. The 6-9 team spots will be determined by squads determined to end their seasons on a high note, and could be very tight between White County, Druid Hills, Woodward, Flowery Branch and Mary Persons. Chapel Hill had a strong region showing at Clinton Farms and will seek to be a top 10 team. .
Caroline McArthur of Oconee County and Kathleen Maley of Marist are the co-favorites and will make themselves aqquainted for the first time this season as they will be locked perhaps in an incredible duel for an Overall State title. Comparing common opponents, Maley appears to have a slight advantage. 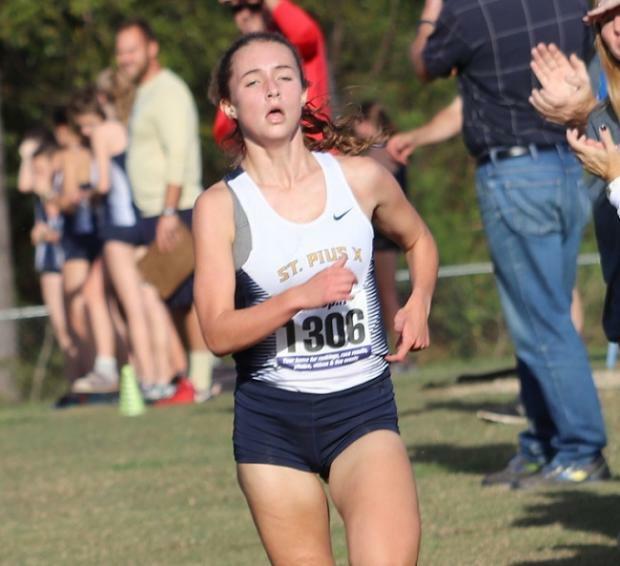 Maggie Yankovich and Mary Brady of St. Pius X, appear to be just behind the two favorites, and have the potential to take a step-up and challenge the two favorites and push for the individual title. 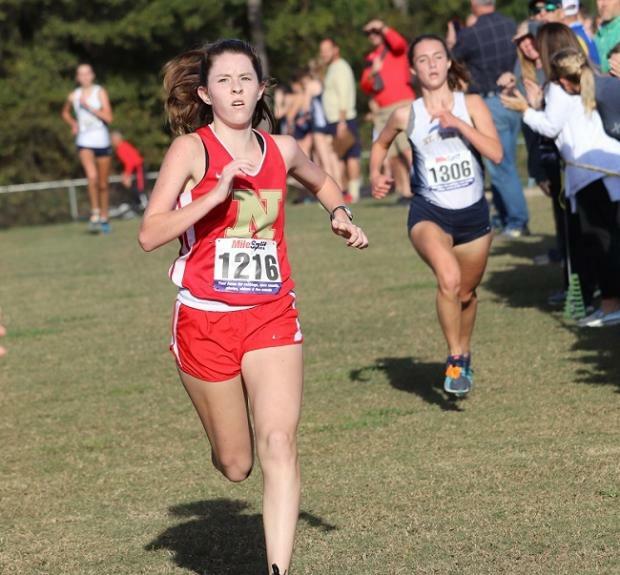 Kelsey Morse of North Oconee is a definite contender for an All-State slot. 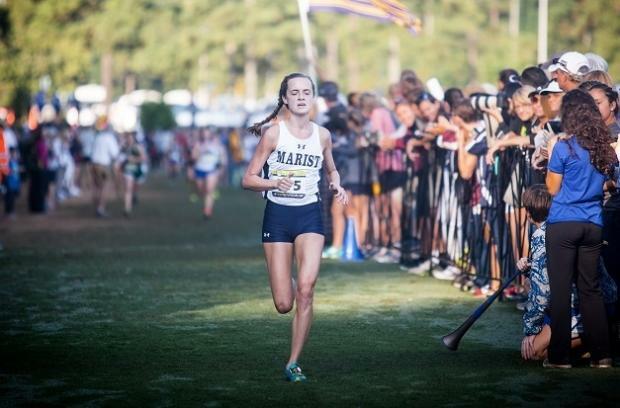 Kathleen Schellman, Lucey Jewell Watson and Ruby Little of Marist Maggie are all capable of placing in the top 10. 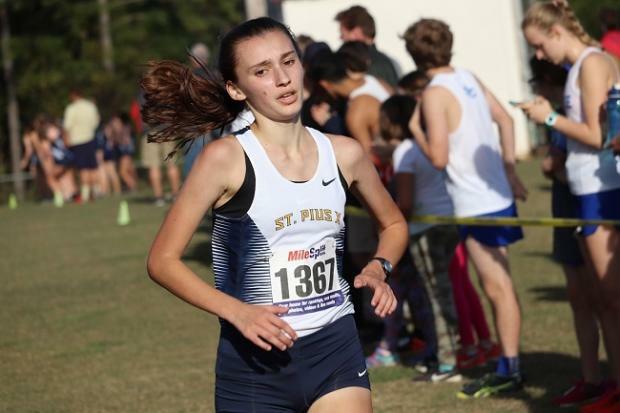 If Hannah Miniutti of Blessed Trinity has regained her early season form, she too could challenge for the top of the podium on Saturday.